This 1/2 In. 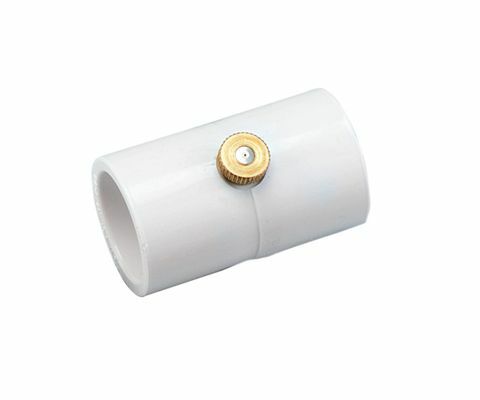 PVC Split Section with Mist Nozzle is designed to attach two 2 Ft. sections of PVC pipe together to extend the 1/2 In. .008 Mist Nozzle with 10-24 thread. This nozzle will emit approximately .380 gallons per hour at 60 p.s.i., 0.450 gallons per hour at 150 p.s.i., 1.10 gallons per hour at 1000 p.s.i.